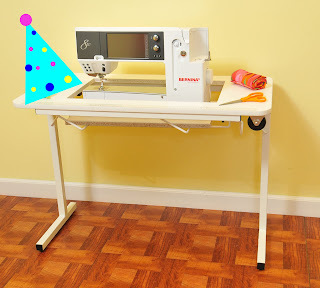 Arrow Sewing Cabinets: "Where Are You Sewing?" Winner! Huge congratulations Sheila! I bet you are just thrilled. Enjoy! Congrats, I'm so happy for you.....I sure wish I could move my stuff from a card table to a cabinet. Congrats! Sewing will now be even more enjoyable! Enjoy your new Gidget Sheila! Congratulations Sheila. I was wondering what a gidget II was. Now I know. will it be a traveling companion?